What a proper quote to start this post! I will now relay how I chose the ranch I’m doing my cattle drive on. That quote is also from Larry McMurtry’s fantastic Lonesome Dove novel, much of which takes place on a cattle drive. It’s actually that movie that made my dad and me want to eventually do a drive. Everyone keeps referencing City Slickers, screw you guys and screw Billy Crystal. 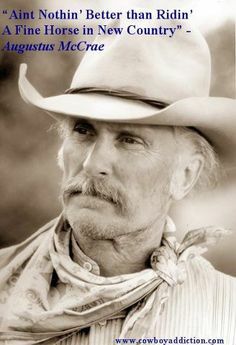 I’m going to turn into the stoic rascal Robert Duvall. Anyway this was a hard decision and took a lot of careful consideration from airport transfers to sleeping arrangements. On my 2017 trip I always asked people if I could put them on my blog and no one declined. To make it easy for me to give them the web address and my review accounts I made silly business cards. I think some are funnier than others, and a few are probably only funny to me, but I wanted to share. Today at lunch I picked up my mobile base for the next 3 weeks! The intermediate and full-size class cars were the same price so I went with the larger of the two. When I showed up at Hertz, they didn’t have the full-size so I got a free upgrade! Tonight I’m going to load up some of my stuff and tomorrow morning before work I’m taking it to the park to calibrate the CB and antenna. Let’s take a look at my ride! Today I’m not feeling well. All week I’ve been a little lethargic and didn’t sleep well last night. There was also a bit of bad news with my family yesterday. This post is going to help me change my perspective, keep kicking up my blog game, and share a few things. Please watch Shawn Anchor’s 12 minute TED talk embedded below. I’m using his idea that I need to focus on the good to pep up and get back on track. Reserved and paid for my rental car yesterday. Printed out and organized all of my hotel confirmations for my trapper keeper. Finished the agendas for the first 6 days of my trip. Purchased a Deflecto Early Warning Road Safety Triangle 3-pack. Purchased a sun shade for the windshield. I’ve never used one before but I also don’t remember ever getting into a car that’s been sitting in the New Mexico summer sun. I hope it helps keep my hands from bursting into flames when I touch the steering wheel. Made my last change to the trip. I substituted a diner I was going to check out with another tourist trap. It’s too close to the trip to make any further revisions. The schedule is in ink, so to speak. This is all great news and has given me a boost in energy just typing it! Now please watch Shawn’s TED Talk. If you don’t laugh or smile at least once at his jokes I will send you 10 smashed pennies and a jar of fancy mustard from my trip. Promise. Based on my maps and spreadsheets, I will be driving over 124 hours. That’s only driving from destination to destination. It does not include pulling off highways for food and gas, detours, or any driving I do my 5 “days off.” I have several playlists on my phone and loads of CDs. I have a 9+ hour 90’s playlist, a 9+ hour 80’s playlist, and I’m working on a classic rock playlist that will hopefully be around the same length. I’m going to need more entertainment than that. The only thing about this trip that should be taken seriously is my dedication to its planning and execution but even that shouldn’t be taken too seriously. To keep in the theme of tacky, silly, and ridiculous, my planning binder is embarrassingly childish. I’ve also spent way too much money on supplies for it. I’m just now starting to assemble the different pieces and wanted to share some of my gear and recent purchases.